George Muller of Bristol His Witness to a Prayer-Hearing God By Arthur T. Pierson With An Introduction by James Wright In 1828, Muller offered to work with Jews in England through the London Society for Promoting Christianity Amongst the Jews, and arrived in London on 19 March 1829. By mid-May, he fell ill, and did not think that he would survive. He was sent to Teignmouth to recuperate and, whilst there, met Henry Craik, who became his lifelong friend. Muller returned to London in September, but after ten days started to feel unwell again, blaming it on being confined to his house because of his studies. He asked the Society to send him out to preach but received no reply. By the end of November he became doubtful whether the Society was the right place for him and on 12 December made the decision to leave but to wait for a month before writing. MÃ¼ller returned to Exmouth on 31 December for a short holiday and preached at various meetings whilst there. He wrote to the Society in early January, requesting that they might consider allowing him to remain with them if they would allow him "to labour in regard to time and place as the Lord might direct me". This they refused to do at a meeting on 27 January 1830, communicating this to MÃ¼ller in writing, and thus bringing to an end his association with the Society. He moved from Exmouth to Teignmouth and preached several times for Craik, which led to a number of the congregation asking him to stay and be the minister of the chapel of Ebenezer Chapel in Shaldon, Devon, on a salary of Â£55 per annum. On 7 October 1830, he married Mary Groves, the sister of Anthony Norris Groves. At the end of October, he renounced his regular salary, believing that the practice could lead to church members giving out of duty, not desire. He also eliminated the renting of church pews, arguing that it gave unfair prestige to the rich (based primarily on James 2:1â9). 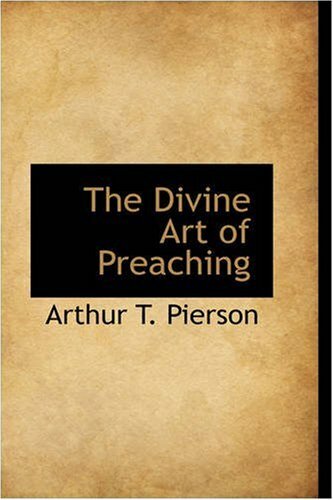 9781497567856 | Createspace Independent Pub, April 6, 2014, cover price $12.95 | About this edition: George Muller of Bristol His Witness to a Prayer-Hearing God By Arthur T.
9780548558997 | Kessinger Pub Co, September 30, 2007, cover price $53.95 | About this edition: This scarce antiquarian book is a facsimile reprint of the original. 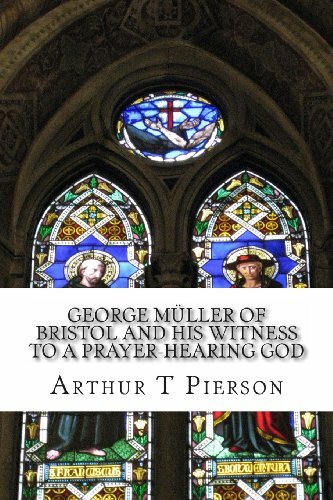 9781453870129, titled "George Muller of Bristol: And His Witness to a Prayer-hearing God" | Createspace Independent Pub, November 11, 2010, cover price $10.75 | About this edition: The story of George Muller,one of histories greatest prayer warriors. 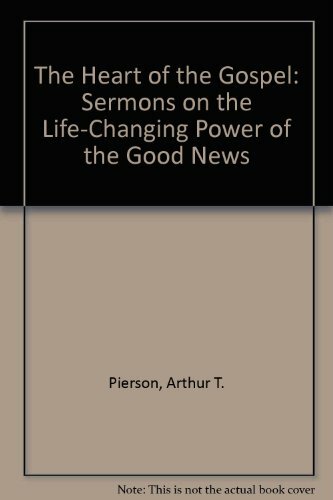 9781409940548 | Ill edition (Dodo Pr, December 15, 2008), cover price $28.99 | About this edition: Arthur Tappan Pierson (1837-1911) was an American Presbyterian pastor, early fundamentalist leader, and writer who preached over 13,000 sermons, wrote over fifty books, and gave Bible lectures as part of a transatlantic preaching ministry that made him famous in Scotland and England. 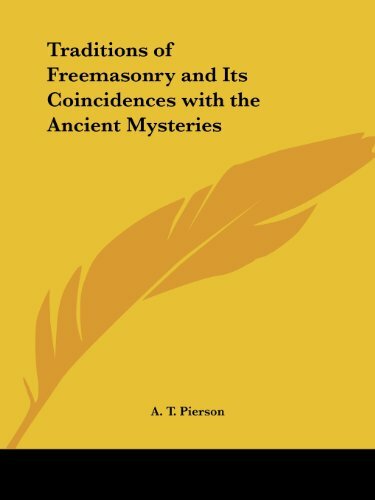 9780548511459 | Kessinger Pub Co, September 30, 2007, cover price $38.95 | About this edition: This scarce antiquarian book is a facsimile reprint of the original. 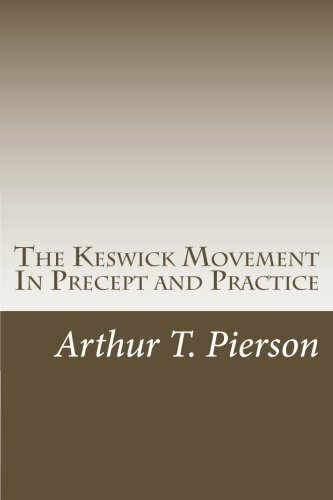 9781511775014 | Createspace Independent Pub, April 18, 2015, cover price $12.85 | About this edition: This book aspires to no pre-eminence as furnishing homiletic models. 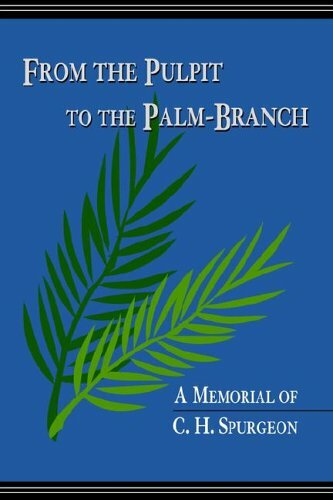 9781505695229 | Createspace Independent Pub, December 23, 2014, cover price $10.75 | About this edition: THE ANNALS, both of ancient Israel and of the modern Church, record mingled success and failure. 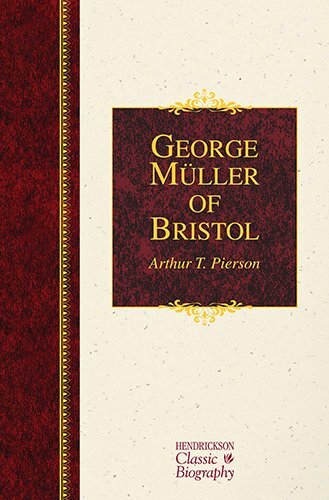 9781619704565, titled "George Muller of Bristol (1805-1898)" | Hendrickson Pub, October 1, 2014, cover price $19.95 | also contains George Muller of Bristol | About this edition: This revision of the classic biography George Muller of Bristol tells of a life characterized by prayer, faith, and self-denial in the cause of Christ. 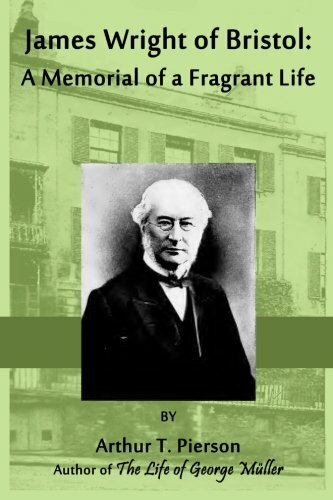 9780548212370 | Kessinger Pub Co, July 30, 2007, cover price $52.95 | also contains George Muller of Bristol | About this edition: This scarce antiquarian book is a facsimile reprint of the original. 9780800701062 | Fleming H Revell Co, June 1, 1971, cover price $14.95 | About this edition: This Is A New Release Of The Original 1899 Edition. 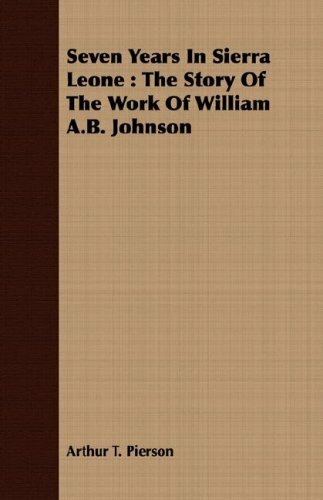 9781432531508 | Kessinger Pub Co, April 30, 2007, cover price $37.95 | About this edition: This scarce antiquarian book is a facsimile reprint of the original. 9781495465031 | Createspace Independent Pub, February 7, 2014, cover price $8.00 | About this edition: Goethe says, that before a reader complains of obscurity in an author, he should examine whether he himself is âclear within; in the twilight a very plain writing is illegible. 9781494769574 | Createspace Independent Pub, December 22, 2013, cover price $7.50 | About this edition: The genesis of this book is very simple. 9781494737696 | Createspace Independent Pub, December 19, 2013, cover price $7.50 | About this edition: This little book, the substance of which has, in part, appeared previously, and in other forms, often fragmentary, is an attempt to supply a felt need and answer these inquiries. 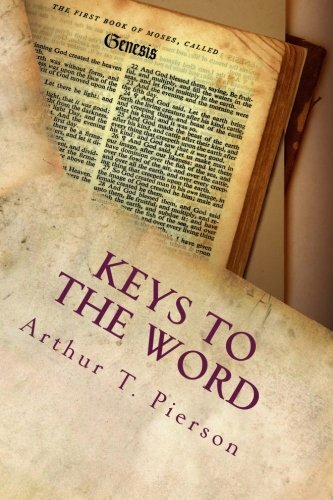 9781493684984 | Createspace Independent Pub, November 4, 2013, cover price $9.99 | About this edition: Like George MÃ¼ller before him, James Wright lovingly cared for the thousands of orphans in Bristol, England with an unwavering trust in God. 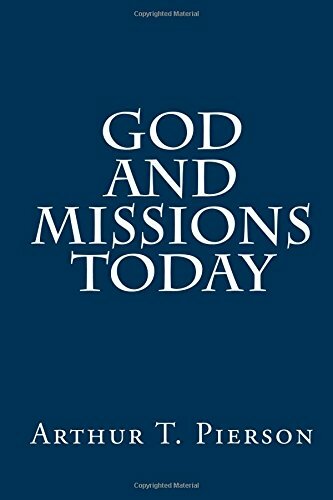 9781484003534, titled "George Mï¿½ller of Bristol and His Witness to a Prayer-hearing God" | Createspace Independent Pub, March 31, 2013, cover price $9.99 | About this edition: A HUMAN life, filled with the presence and power of God, is one of God's choicest gifts to His church and to the world. 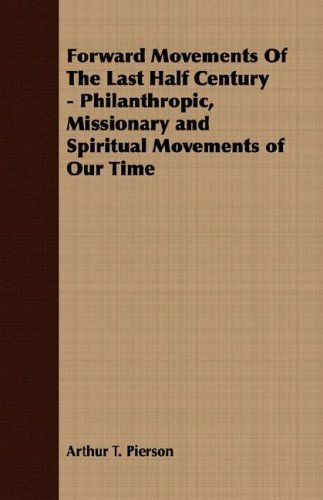 9780559650604 | Bibliolife, November 30, 2008, cover price $26.99 | About this edition: This is a pre-1923 historical reproduction that was curated for quality. 9780559650581 | Bibliolife, November 30, 2008, cover price $16.99 | About this edition: This is a pre-1923 historical reproduction that was curated for quality. 9781408696385 | Read Books, April 30, 2008, cover price $8.45 | About this edition: Many of the earliest books, particularly those dating back to the 1900s and before, are now extremely scarce and increasingly expensive. 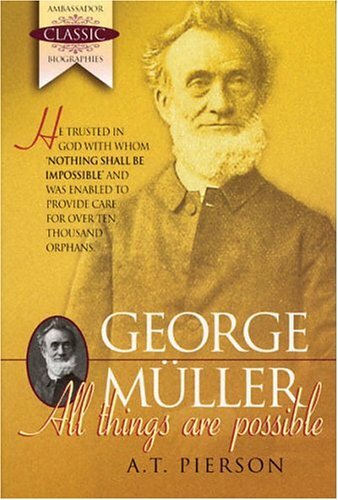 9780825434648 | Kregel Pubns, November 1, 1999, cover price $18.99 | About this edition: This classic biography of George Muller tells of his dependence on prayer and his compassionate concern for orphans in Bristol, England. 9780548546017 | Kessinger Pub Co, September 30, 2007, cover price $45.95 | About this edition: This scarce antiquarian book is a facsimile reprint of the original. 9780548512289 | Kessinger Pub Co, September 30, 2007, cover price $30.95 | About this edition: This scarce antiquarian book is a facsimile reprint of the original. 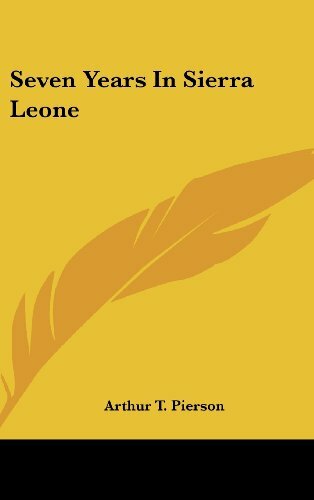 9780548092316 | Kessinger Pub Co, July 30, 2007, cover price $42.95 | About this edition: This scarce antiquarian book is a facsimile reprint of the original. 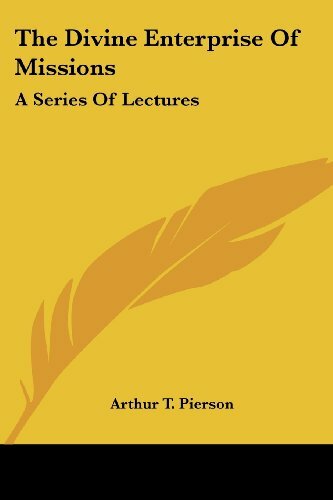 9781406706352 | Lightning Source Inc, March 31, 2007, cover price $31.95 | About this edition: Many of the earliest books, particularly those dating back to the 1900s and before, are now extremely scarce and increasingly expensive. 9781599250366 | Solid Ground Christian Books, January 30, 2006, cover price $25.00 | About this edition: "Many will be happy to know this long-unobtainable volume on Spurgeon is to be available again. Product Description: By his life lived through faith in God's providence, we see that "all things are possible" with God. 9781840300581 | Emerald House Group Inc, August 1, 1999, cover price $14.99 | About this edition: By his life lived through faith in God's providence, we see that "all things are possible" with God. 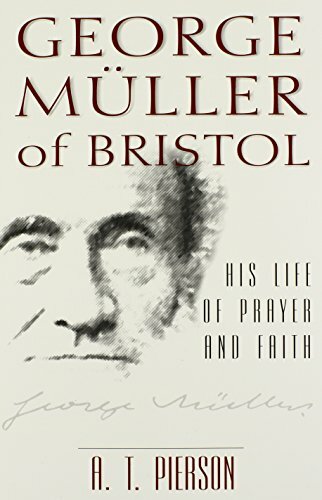 Product Description: This classic biography of George Muller tells of his dependence on prayer and his compassionate concern for orphans in Bristol, England. 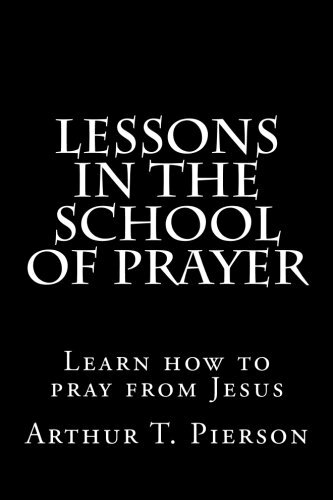 Recommended by Bible Study Fellowship. 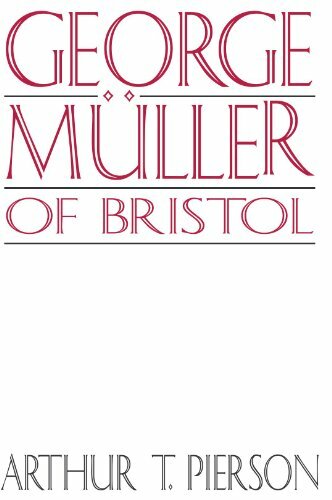 9781579102418, titled "George MËller of Bristol" | Wipf & Stock Pub, April 22, 1999, cover price $38.00 | About this edition: This classic biography of George Muller tells of his dependence on prayer and his compassionate concern for orphans in Bristol, England. 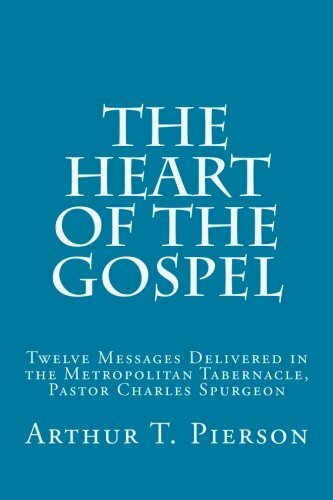 Product Description: (Foreword by Warren W. Wiersbe)Thirty-six sermons presenting the gospel--its heart, its heights, and its hopes. 9780825434631 | Kregel Pubns, June 1, 1997, cover price $42.01 | About this edition: (Foreword by Warren W.
9781564595348 | Kessinger Pub Co, March 1, 1997, cover price $33.95 | About this edition: This scarce antiquarian book is a facsimile reprint of the original.